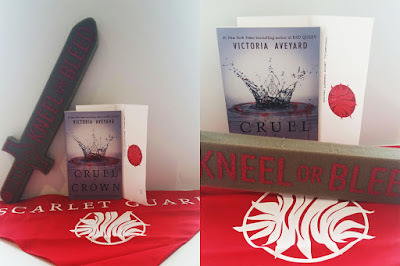 About six weeks ago a beautiful yellow package came in the mail, and inside was an even more beautiful ARC of GLASS SWORD by Victoria Aveyard. Folks, let me just say that getting an ARC is exciting, but getting an ARC of one of your most anticipated releases of 2016 is a hoot and a half! When I read RED QUEEN last year, I immediately fell in love with the world and characters; despite the fact that GLASS SWORD has a completely different vibe than the first, I still felt that same love towards it. 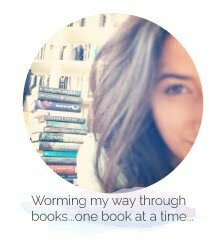 Bookworms, you don't want to miss this! 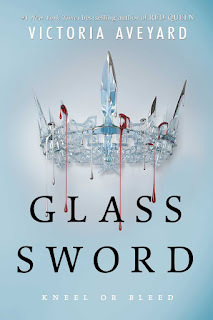 GLASS SWORD picks up where book one left off (which I'm sure most of you will be delighted to hear after experiencing that cliffhanger at the end of RED QUEEN)! One of the things I feel like most readers are going to notice about book two is that Mare is a different kind of character than the Mare we knew in RED QUEEN. The betrayal she has experienced has left a visible mark on Mare that is reflected in both her relationships and actions. 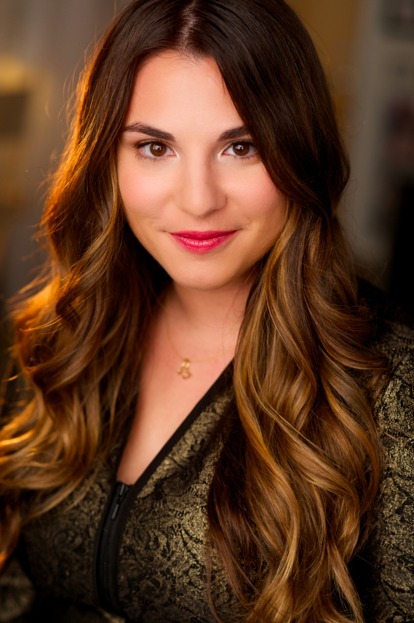 She is far from being a perfect character but I think she's more interesting because of the fact her flaws are so evident. In book one, my investment in the romantic relationships really made the big twist at the end so much harder to deal with. However, in book two, the romance is practically non-existent...or perhaps it would be more accurate to say that the romantic elements are present but not as explicitly addressed. Again, a large part of this, I believe, has to do with the fact that the feeling of betrayal is still so raw with all of the characters. I mean, I guess I can understand how betrayal doesn't exactly spark the lovey-dovey feels, but my inner romantic was aching for a little more Cal and Mare action! However, that being said, I think the lack of romance allowed the novel to have that intensity that makes it impossible to put the book down! To keep this review short, I'll end off by saying that GLASS SWORD was a ride that, although slow moving, did not fail to bring on all the feels and advance the storyline to a point that will make book three an EPIC ride. The ending, once again, left me absolutely desperate to find out what happens next (because seriously, I'm not sure how Mare is going to get herself out of this one)! I've been hearing so much about this series -- I need to start reading Book 1 so that when I see the author at Book Con, I at least have some knowledge of what this is all about. Thanks for sharing!